Published on June 11, 2011 in Carnival and General Articles. 4 Comments Tags: Carnival, King of Carnival, Wayne Berkeley. Mas designing legend Wayne Berkeley passed away at the family home on Clifford Street, Belmont, yesterday evening. He was 71. Published on July 21, 2010 in Calypso/Soca and General Articles. 0 Comments Tags: Mighty Sparrow, Monarchs, NAPA Fest, Slinger Francisco. Published on February 21, 2010 in General Articles. 0 Comments Tags: Beyonce, TSTT. Published on November 19, 2009 in Calypso/Soca and General Articles. 0 Comments Tags: Almanac, Calypso/Soca, Passed. 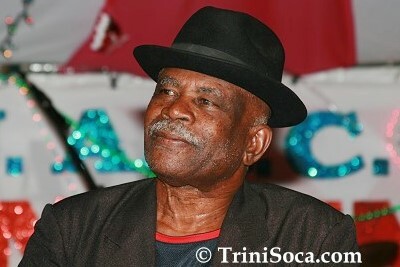 Calypsonian ‘Almanac’ (Anthony Francis) passed away on November 6th 2009, at the Port of Spain General Hospital around 9:30 p.m. due to suspected liver cancer. His funeral was held Wednesday, November 11th, 2009, at the Cathedral of the Immaculate Conception on Independence Square, Port of Spain. He was interned at the Woodbrook Cemetery. 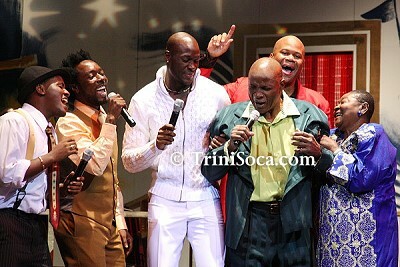 Fellow Calypsonians as well as family and friends were in attendance as ‘Almanac’ was laid to rest. Published on November 11, 2009 in General Articles. 0 Comments Tags: Academy for the Performing Arts.